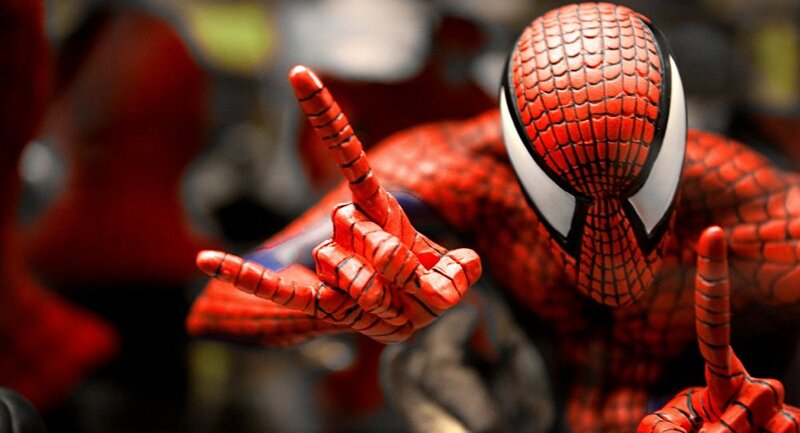 Becoming a super-hero like Spider-Man is no game but maybe a possibility after a team of international scientists re-created 'liquid wire' in a laboratory setting similar to a spider's silk. Researchers at the University of Oxford and University Pierre et Marie Curie in Paris studied how spiders weave their web with silk so strong that it always remains taut. They then used coated plastic filaments with silicon oil to produce the 'liquid wire' to behave like a spider's web. "Spider silk has been known to be an extraordinary material for around 40 years, but it continues to amaze us," Dr Herve Elettro, researcher at the University Pierre et Marie Curie in Paris said. According to the scientists, the reason it remains taut is because any loose thread is immediately spooled inside tiny droplets of watery glue that coat and surround the middle of the spider's silk fibers. "While the web is simply a high-tech trap from the spider's point of view, its properties have a huge amount to offer the worlds of materials, engineering and medicine," Dr Herve Elettro said. He added that the bio-inspired hybrid threads could be, "manufactured from virtually any components" and "lead to a wide range of applications, such as microfabrication of complex structures, reversible micro-motors, or self-tensioned stretchable systems." The findings, published in journal PNAS describe how the thousands of tiny droplets of glue that cover the spider's web do more than just make the silk sticky enough to catch flies. Using the artificial system, the scientists recreated the balance between the elasticity of the silk and its surface tension by using oil droplets on a plastic filament and it behaved just like the spider's natural winch silk. The spools reeling and unreeling inside the oil droplets as the thread became longer and contracted. ​"Surprisingly, each drop packs enough punch in its watery skins to reel in loose bits of thread. And this winching behavior is used to excellent effect to keep threads tight at all times," Dr Elettro said, suggesting that you can test it for yourself next time you spot a cobweb. It seems super-hero status might not be such a distant dream if scientists can replicate the speed strength and power of a spider, albeit in a laboratory.